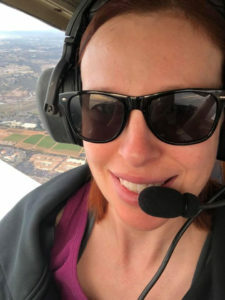 Krystene Zehnder’s started flying as a hobby and about half way through her private realized she loved flying and wanted to do what she loves for a living. Instructing seven days a week from Pacific Coast Flyers at Palomar Airport (KCRQ), Krystene is CFI, CFII, and MEI and available for all your flight instructing needs. She can be reached at kryszehn@gmail.com.